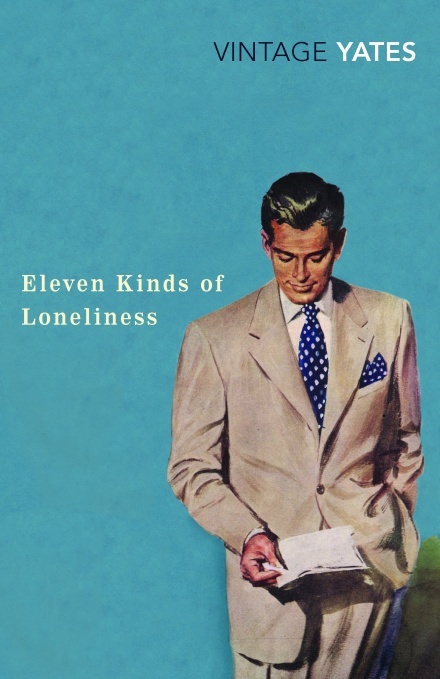 As I was in the mood for some American realism I turned to a copy of Eleven Kinds of Loneliness, a 1962 short story collection by Richard Yates; when I had finished it I wanted to read more. Yates’ second volume of short-stories, Liars in Love, was published in 1981; all the stories from both of these publications are included in the Collected Stories as well as nine more that had only appeared in magazines. Annoyingly the Vintage version gives us a list of copyright dates and a list of the magazines they originally appeared in but they do not clarify which story was published when or where. A short introduction with a bit of info would have been nice but these Vintage editions do have some cracking 1950s style covers (see below) which partially compensates for this. Reading all of Yates’s stories in one go highlights the similarity of the stories. Most of them are set in the ’50s or ’60s and seem to be based on autobiographical elements of his life as the characters are always of the same age as Yates, they are sometimes about writers, or younger men working in offices, or stories from a childhood in the ’30s. They often portray marriages that are on the verge of falling apart with couples arguing, separating and cheating on each other. There are a few stories set in a T.B. clinic and some concerning WWII veterans. But he also occasionally writes from a child’s perspective or from a woman’s perspective and he does this amazingly well. Some readers may find Yates a bit bleak but I don’t find his fiction bleak, just a bit ‘grubby’ at times. In A Glutton for Punishment we learn about Walter Henderson’s childhood love of playing dead, or rather the dramatic act of dying after being shot by other boys. Walter wasn’t very good at sports but he was a master of dying. Twenty-five years later Walter is at work in his office, he’s anxious as he’s certain he’s about to be sacked as he has underperformed since taking on his current role. There was nothing to do now but let the thing happen and try to take it as gracefully as possible. That was when the childhood memory began to prey on his mind, for it suddenly struck him—and the force of it sent his thumbnail biting deep into the secret matchbook—that letting things happen and taking them gracefully had been, in a way, the pattern of his life. There was certainly no denying that the role of good loser had always held an inordinate appeal for him. Sure enough he’s called into the office to be fired. But this is where Walter ‘shines’ as he says goodbye to his colleagues, thanking them for their help over the years, he collects his possessions and confidently exits the building—it’s a perfect performance. He thinks about trying to keep it a secret from his wife until he can find another job but later on that evening the temptation to ‘perform’ again gets the better of him. “Well, darling—” he began. His right hand came up and touched the middle button of his shirt, as if to unfasten it, and then with a great deflating sigh he collapsed backward into the chair, one foot sliding out on the carpet and the other curled beneath him. It was the most graceful thing he had done all day. “They got me,” he said. In Builders the narrator tells us how he had a low-paid job on the financial news desk of a paper back in 1948. He was a young writer who dreamt of being the next Hemingway but he ended up getting involved with ghost-writing a series of stories for a cab-driver, Bernie Silver, who tricks him into writing up some of his notes as stories. Bernie dreams of his book selling well and eventually a film being made from it. He claims to know people in the movie business who will help and dangles the promise of future royalties in front of the writer. Bernie is not quite a conman but he has a dream to ‘build’ his book and he intends to do it any way he can, even if that means duping young writers into writing up his stories for him for next to nothing. It’s an entertaining story. The story leads up to a suitably grim ‘Christmas party’ organised by Miss Snell on the last day of school before Christmas. Trying Out for the Race is about the headstrong unmotherly single mother of Nancy and her friend Lucy. They decide to live together as a way of pooling their resources. Elizabeth doesn’t get on with Lucy or her children, Nancy doesn’t get on with Lucy’s children or her mother. It’s a chaotic household and gets more chaotic when one of Elizabeth’s ex’s shows up. In the title story Warren Matthews moves to London with his wife and child. When she leaves him and returns to America he gets hitched up with a friendly prostitute and finds it difficult disentangling himself from this arrangement. Saying Goodbye to Sally is about a New York writer, Jack Fields, who has just finished his first novel and upon getting a job to write a screenplay moves temporarily to Los Angeles. He hooks up with his agent’s secretary, Sally, an attractive slightly older woman. She introduces him to her unusual friends and housemates. It’s a fun story with loads of crazy characters. 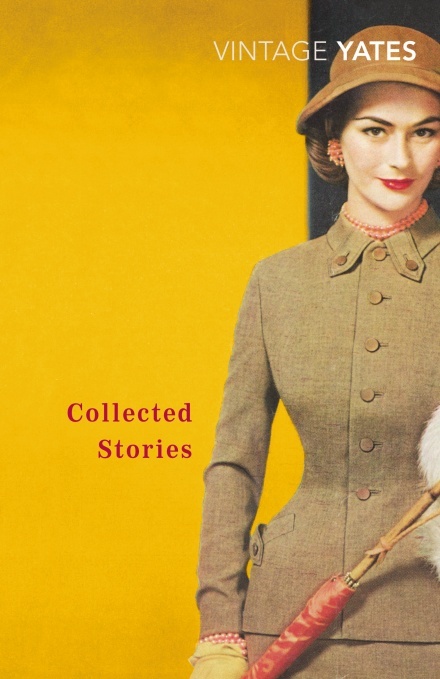 Ok, I’ve raced through the Liars in Love stories a bit but I should also mention that the nine extra ‘Uncollected Stories’ are well worth reading as well. I want to read even more Yates now. I’m really glad to see that you liked these stories so much. Few writers capture the pain of loneliness and isolation quite as well as Yates, not only from a man’s perspective but from a woman’s as well (I agree, he does this so effectively). A Glutton for Punishment is one of my favourite pieces. All that weight of expectation hanging over Walter while his wife does her best to keep the household together – it’s brilliantly conveyed. I’ve liked everything I’ve read by Yates so far but especially these stories and ‘Easter Parade’. 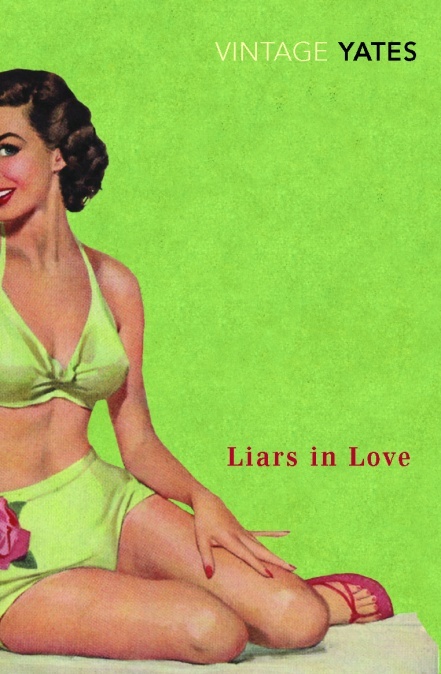 Have you read ‘Liars in Love’? I think the stories in that volume were superb. Yes, I have. They’re excellent, but I think I prefer Eleven Kinds of Loneliness when viewed as a whole collection. Something about the diversity of characters in those stories has really stayed with me. Oh, I wonder how I missed your posts. I’ll read them now. I slightly prefer LiL but there’s not much between them. I usually prefer slightly longer short stories, say 30-40 pages, so that may be partly the reason. I first read a couple about ten years ago or so and thought they were ok but recently having read The Easter Parade and these short stories my appreciation has increased. I haven’t read Revolutionary Road yet but that may well be my next one. I’ve only read Easter Parade by Yates, but I do have meant to read more and I love the sound of these stories. Love that description of Miss Snell, that story in particular is right up my street. Yates portrays children incredibly well in his stories. A lot of the time they appear to be in the background watching the behaviour of the adults and I think Yates excells at this as we see the adults’ behaviour through the eyes of children. Miss Snell is a brilliant character though I wouldn’t have wanted her as my teacher. If you liked The Easter Parade then you should like these stories, Ali.